We all want to celebrate the liturgy well, to experience good, uplifting, and meaningful worship. But what is the best route to follow? 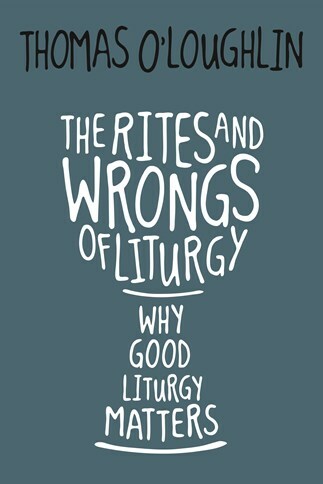 In The Rites and Wrongs of Liturgy, Thomas O'Loughlin offers a way forward that strengthens faith, builds up Christian community, and points toward a new direction based on liturgical principles that are rooted in our natures as ritual beings as well as in the gospel. The Rites and Wrongs of Liturgy explains why good liturgy is important, how to recognize it, and how to assess liturgy in terms of a larger vision of the Christian life. O'Loughlin, a seasoned theologian and teacher, identifies ten principles that make for good liturgy. Such liturgy must be honest, open, joyful, inclusive, celebrative of community, facilitative of engagement, based in creation, attentive to the marginalized, free of clutter, and true to the pattern of the incarnation. Since good celebrations build faith and bad liturgy weakens it, these principles promise to bring new life and meaning to every celebrating community. Thomas O'Loughlin is the author of Washing Feet: Imitating the Example of Jesus in the Liturgy Today. He is professor of historical theology at the University of Nottingham, UK. He was elected president of the Catholic Theological Association of Great Britain in 2016. This book has a lot to offer for both personal reflection on liturgy, as well as shared reflection and spiritual growth for liturgy committees, priests, deacons, musicians and ministers of the various parish ministries. Anyone with a passion for the liturgy will appreciate the opportunity to engage with the thoughts that O'Loughlin shares in this book. Thomas O'Loughlin writes about liturgy as a priest who knows what it is like to be a member of the congregation, as a historian and biblical scholar with a lively sense of liturgical action, and as a keen observer of life and worship. In this short book, he offers profound insights in a disarmingly colloquial argument, illustrated with recognizable scenes from inside and outside the church. Good liturgy, he tells us, says what it does and does what it says. The ten principles that expand this essential claim constitute a guide to excellent and joyful liturgical life, and a barometer for testing its truth and integrity.